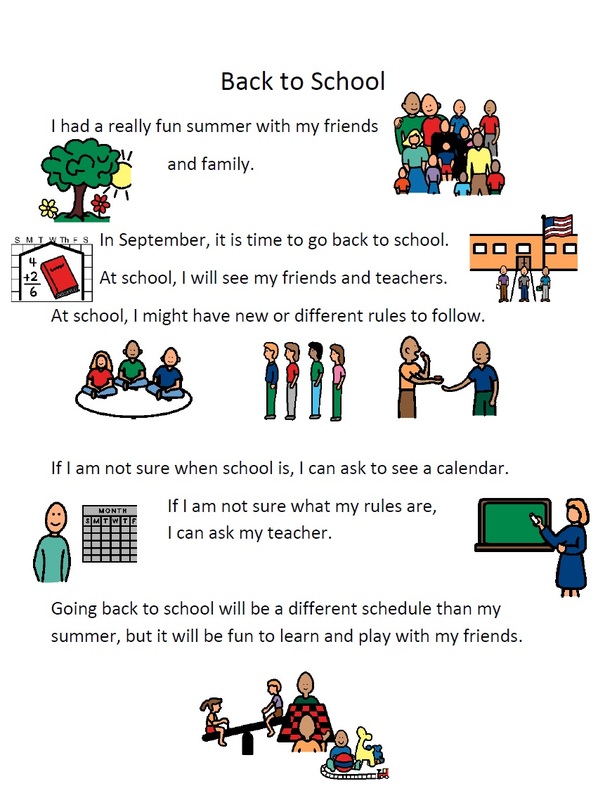 The words “back to school” elicit so many different emotions in both parents and children. Often, excitement, anticipation and joy are also mixed with worry, uncertainty and trepidation. On top of that, many children with language, learning or sensory differences often struggle with the smallest changes to routine. This may lead to the year starting on a frantic note instead of the happy occasion that it is. Meet the teacher ahead of time. If your school offers a “Meet the Teacher” event, take advantage of this opportunity. 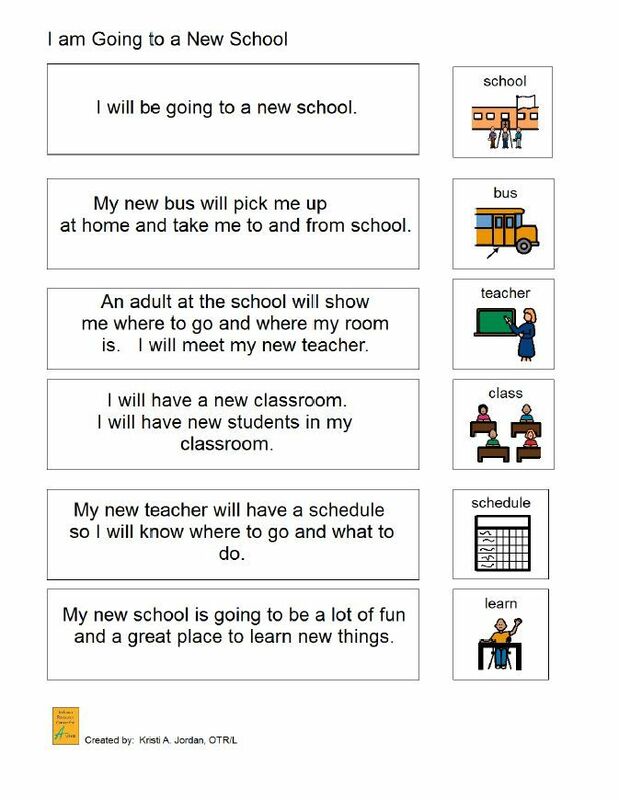 This not only gives both the child and parent time to get to know the teacher(s) in a low-key setting, but also can establish a “lay of the land” prior to the big first day. Children may explore their classroom, get comfortable with where their belongings go, meet other children in their class, and get jitters out of the way. If your school does not offer this, feel free to call the front office to see if you can arrange a meeting or tour the school ahead of time. Take pictures. Bring a camera during trips to the school. Take pictures of the campus, teachers, classroom, cubby or special backpack hook, different classrooms they may visit, and even the carpool or bus line. Don’t forget to take pictures of any therapists or teachers that may be new, like the P.E., music or art instructors. If you cannot meet staff ahead of time, the school may be able to provide you with a picture from their files or website. Read books or write your own stories about starting school. The more familiar an activity is, the less anxious children feel. One simple way to make a new activity feel familiar is by frequently reading stories about it ahead of time. There are books about starting school for every level—from preschool to middle school and high school. If you can’t find a book that works for you, you can write your own simple “social story.” If you took pictures during meet the teacher, print them out and have your child help you make their own book. Get on the school schedule. Getting up in the morning the first day is ten times harder if it’s the first day you awoke at that time. About a week ahead, readjust your child’s sleep/wake schedule slowly back to the time you use for the school year. For example, if school starts at 8:00 a.m., but you’ve been sleeping in until 8:30 a.m. all summer, you’ll need to adjust earlier bedtimes and wake-up times. You may also begin to cut back on any all-day snacking and set an eating schedule that reflects the school day. These seemingly slight changes make a significant impact the first week of school. Be a model for your child. Children take cues from the adults. Back-to-school can lead to extra work and stress on parents, too. If you’re acting overwhelmed, anxious and unhappy, chances are your children will see that and emulate your behaviors. However, if your child sees that you are calm, excited and happy to take on new challenges, they will begin to show those emotions as well. Staying relaxed during big transitions is easier said than done, but it is a highly impactful way to help your child. Hopefully, some of the tips above will help reduce your own anxiety as well, which is a double bonus!